Rep. Honda “votes way far to the left of where [President] Obama is,” Khanna told Breitbart News. 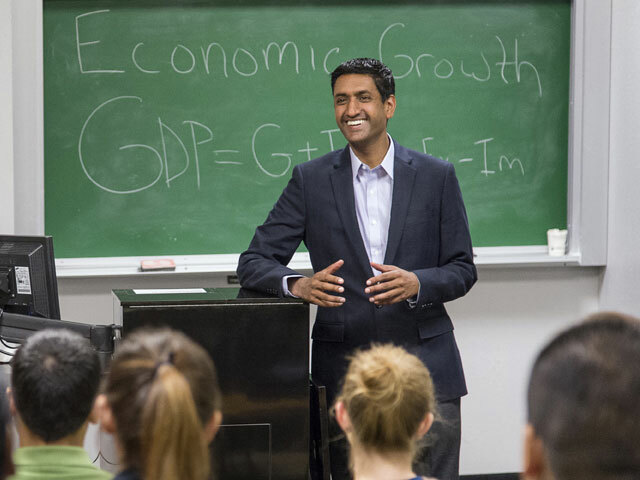 With the November 4 general election quickly approaching, Republicans in Silicon Valley’s 17th congressional district might just hold the ticket to a Ro Khanna victory. According to official state statistics, Republicans account for almost 19% of the total votes in the District 17. Khanna placed second behind Honda in the June 3 primary, lagging by 20 points. However, Khanna told Breitbart News that margin has decreased a great deal over the past three months as a result of his outreach and meetings with Republican groups such as the Santa Clara Republican Party, as well as the Silicon Valley Chamber of Commerce, who endorsed Khanna over Honda in August. If registered Republican and Independent voters (who Khanna has also been meeting with) show up to the polls in November, a Congressman Ro Khanna could be the first person to represent Silicon Valley in over a decade. Honda, who is seeking his eighth term in office, has been slammed with accusations of ethics violations following a series of leaked emails showing that his campaign manager of 14 years Jennifer Van der Heide (who has maintained her position on Rep. Honda’s staff) blurred the lines between her official duties and her work on Honda’s reelection campaign. It’s a very serious scandal and goes to the heart of [Honda’s] integrity. [Honda] clearly violated rules. You have a whistle blower and he hasn’t apologized or taken any action. It’s really an office with no management. “Honda’s running on ideas from 1950s and 1960s,” Khanna said. Honda has received the endorsement of the Democratic establishment, including President Barack Obama. Khanna, who worked as Deputy Assistant Secretary of Commerce under President Obama, has endorsements from major Silicon Valley donors from companies like Yahoo!, Google, and Facebook. Khanna, 38, graduated from Yale Law and teaches economics at Stanford University. He also teaches law at Santa Clara University. The day after the debate, Khanna held a Q&A session on Facebook in which he spoke directly to voters from his district as well as constituents who have been following the race from across the nation.The District 17 debate which took place on Monday night was one of the rare congressional races to receive national attention. Khanna told Breitbart News that he plans to meet with Democrats, Republicans and Independent voters. He drew attention to a series of town hall meetings he has held, pointing out that is something his opponent Honda has failed to do. “Once people know where he stands and where I stand, we win,” Khanna said.